The Dixie II+ is a larger variant of the classic Dixie II. Using the same great triangle core oscillator, it adds a number of features to make it even more versatile with only a modest increase in size. 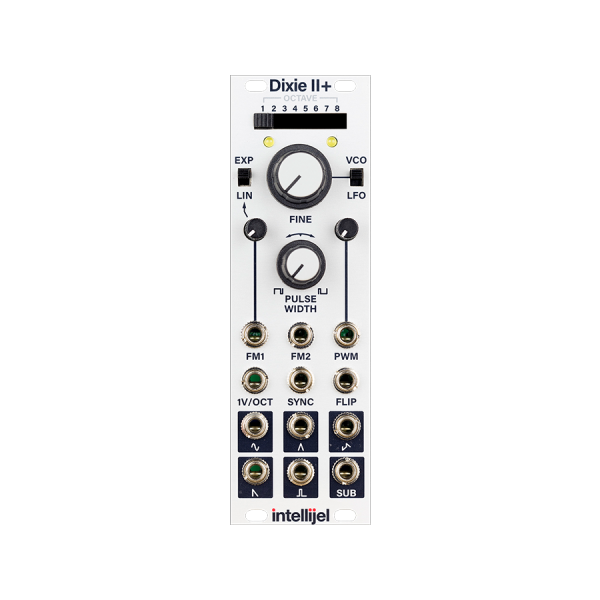 The Dixie II+ makes a great primary oscillator for a modular system, or a great companion the Rubicon. 8-position octave switch for quick setting of course tuning. Fine tuning knob that turns to a coarse knob when in LFO mode. 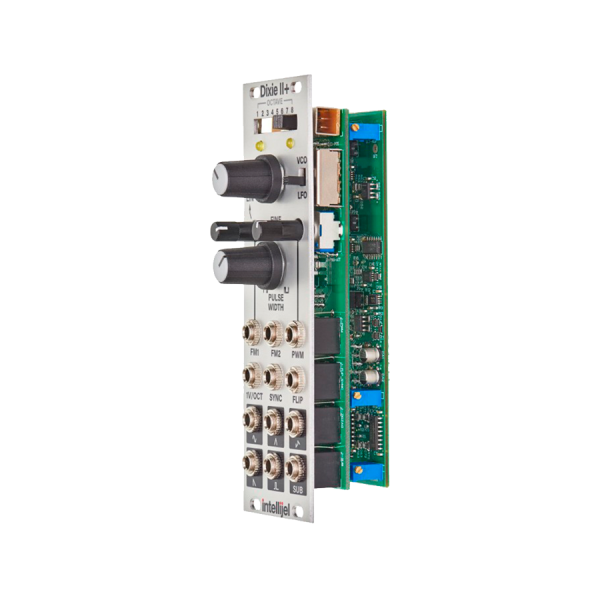 Dual FM inputs, with FM1 attenuator and switch to select between exponential and linear mode. Pulse width control with attenuator. 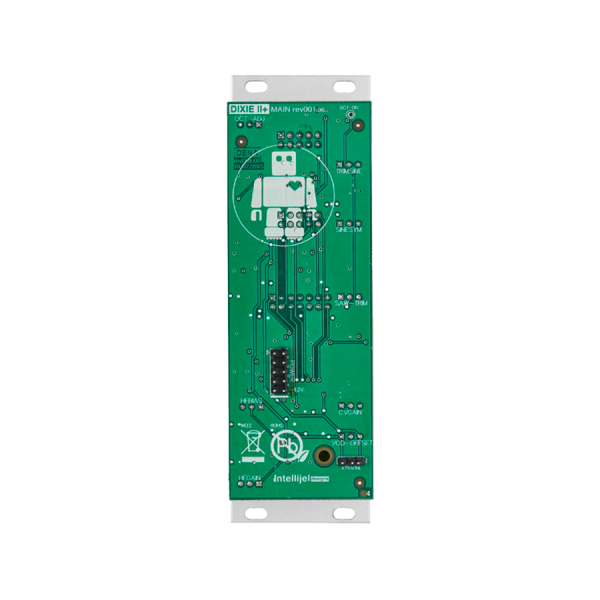 Reset to 0 V hard sync input, ideal for percussive sounds or modulation. Flip sync circuit similar to but improved from the Dixie II. 6 waveform outputs: sine, triangle, zigzag, saw, pulse and suboctave.